He is a requested keynote speaker with a wide range of presentations on his world travels. A natural storyteller, he has delighted audiences from North America to Asia. Gilles Villeneuve was perhaps the fastest Formula 1 Driver to ever hit a race track. His many fans, all these 31 years later, seem to think so. Villeneuve A Racing Legend is a celebration of Gilles racing life and a tribute to his many fans. 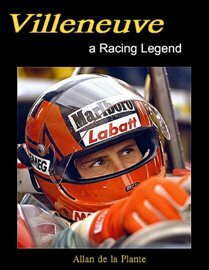 Villeneuve A Racing Legend will take you on a visual journey into this romantic time in Formula One where triumph and tragedy are but the flick of an eye apart. 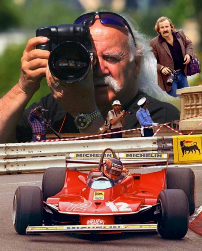 Many videos and slideshows bring Gilles back to us and let him in many cases tell the story. Please also visit Villeneuve A Racing Legend on facebook. This book has everything, descriptions, images AND video clips. It definitely gives you the whole meal deal about the Formula 1 environment, the races and about Gilles. Previous Previous post: How Do You Want That Signed?